An old bait shop was transformed into this popular waterfront dining spot. The beach resort Isle of Palms is a major vacation spot on the coast of South Carolina, and it&apos;s lucky to have the Boathouse restaurant to draw in even more visitors. 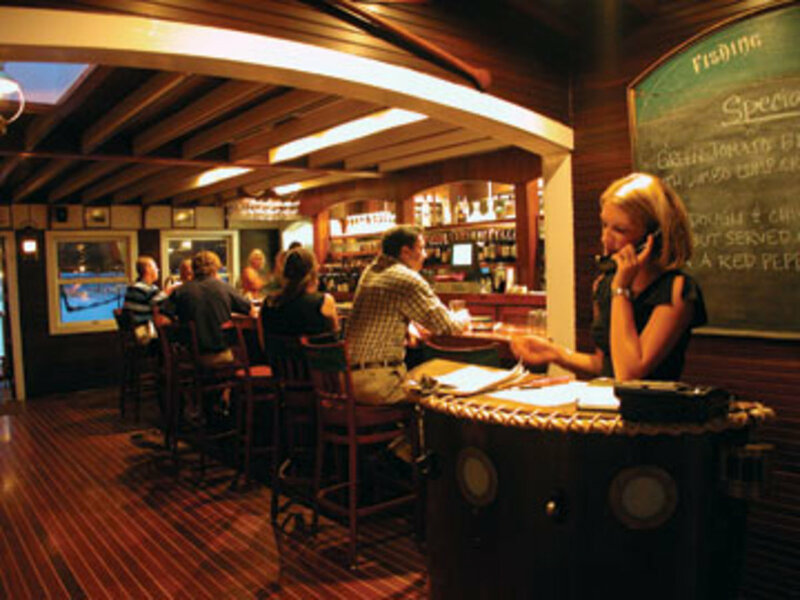 "We are known for our Crow Bar on the roof, where people can watch dolphins and the sunset," says manager Leslie Wade. This is the original Boathouse that has spawned three sister locations because of its immense popularity. The Chef&apos;s Trio is the restaurant&apos;s most notable dish. It includes a six-ounce filet mignon, crab cakes, and lobster tails and is the work of chef Charles Arena, who trained at the Culinary Institute of America. "Our menu changes biannually," Wade says. "We use local produce and fresh herbs." He adds that a raw bar was being added this year. 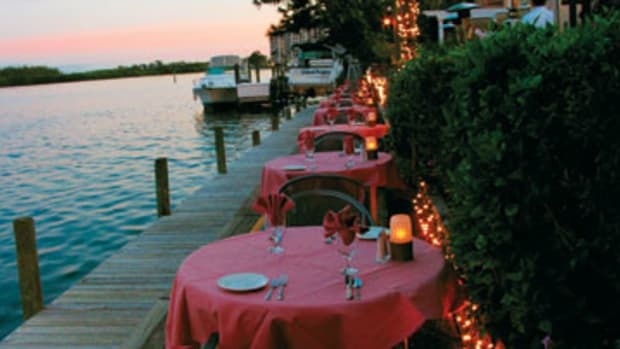 Anyone interested in experiencing the Southern charm and intrigue of what the Charleston Readers Poll voted the Best Isle of Palms Restaurant 2004 and 2005 should pull up a boat (less than 32 feet) into one of the two slips at the restaurant&apos;s 50-foot dock. Once you escape into this sunny inlet, you&apos;ll never want to leave.